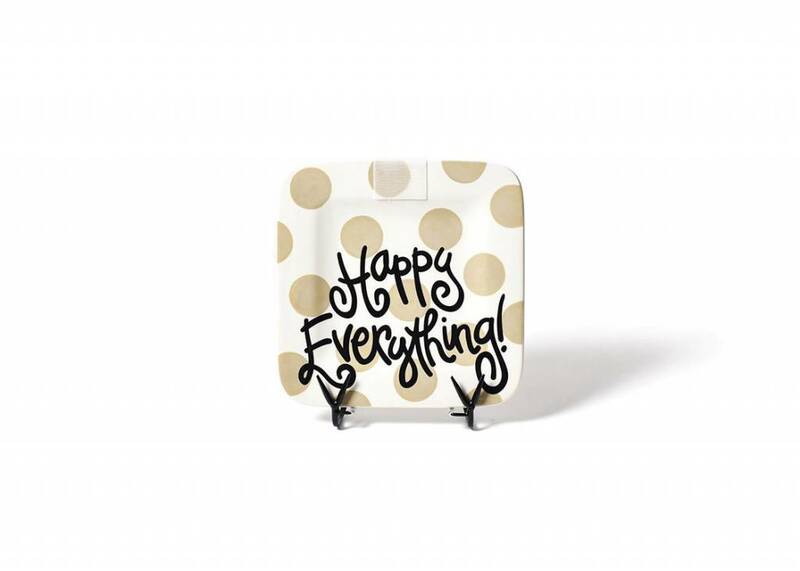 Our Neutral Dot Happy Everything Mini Platter is the perfectly priced offspring of the Big Platter with over 70 attachment options, each easily interchangeable on the platter with Velcro®. The Neutral color palette shares the Happy Everything statement in a simple manner for those with more subtle palettes. 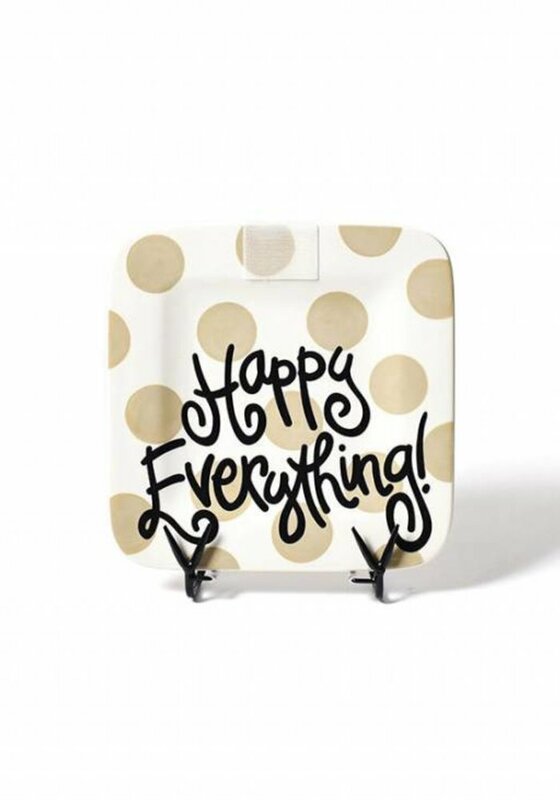 This square ceramic Mini platter will help you find a little Happy in EVERYTHING! Don't forget plate stand & attachment bag!